Moving across Canada can be a true challenge for a number of valid reasons, including the fairly complicated preparation period prior to Moving day and the massively vast interprovincial distances among most major Canadian cities. Let’s not forget the high dosage of the ever-present moving stress and the picture-perfect Canadian moving scenario seems more “welcoming” than ever. There’s only one good solution to the great number of unknowns that an upcoming house move introduces – find a good moving company and you’ll have little to worry about. A word of caution though: if you’re about to use a Canadian moving company for the first time, then it’s really important that you do it the right way to avoid strong headaches. 10 simple steps are all you need to find the best movers in Canada and to enlist the quality services of a Canadian moving company that will be the best one for you. It’s the source that matters – the place where you should begin the hunt for a reliable moving company. Moving company websites or ads are not the best start for your search of interprovincial moving companies because there’s no guarantee that the information there can be trusted at all. Most professional movers do claim that they are both the best ones and the cheapest ones on the market – bold statements that you should always take with a grain of salt. Obviously, the first step to finding one of the best Canadian moving companies is to ask family and friends for possible recommendations. Your pals may actually have personal experience and recent dealings with a mover, so it’s always a good idea to trust a friend of yours – someone that won’t try to deceive you in any way. Although there is no assurance for a positive moving experience, getting recommendations from people you can trust is a great way to find a good Canadian moving company. If anyone you know does recommend you a specific Canadian moving company, then that’s great – you should definitely get into contact with that mover and explore further your options for partnering with it for your upcoming move. Much more often though, the enquiry among your friends won’t produce any sensible results. And when that happens, it’s time to do what moving experts always recommend. Effectively, your first actual step to finding the best long distance movers in Canada is to request price estimates from several reputable moving companies, and then compare those offers to pick the winning bid. It’s no secret that the cost of your house move will be the deciding factor in your decision. The easiest way to get quotes from several top-rated moving companies in Canada – ones that both support your move route and can accommodate your move on your desired date – is to use our moving costs calculator for Canada. Use our moving estimates online calculator for precise cost estimation. It’s very convenient to be able to compare various offers /see Step 9/ before making up your mind. Make sure you get at least 3, preferably 4-5 cost estimates from Canadian interprovincial moving companies to guarantee your success. Show your movers everything you plan to move to your new home. 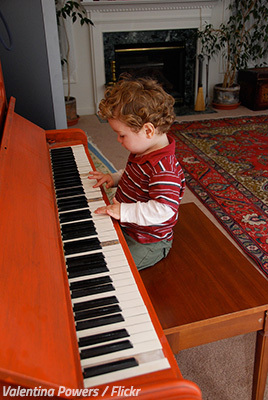 Even a single specialty item, such as a piano, will affect greatly the cost estimate. In order to get a cost estimate that will reflect the final price you’ll pay in the end of the move, you must request that the moving companies – the ones with which you have already established a contact – visit your place in person and see all the items you have for moving. The importance of in-home surveys cannot be stressed enough – remember that moving quotes over the phone or via e-mail cannot possibly be as accurate as you need them to be. Such on-site inspections performed by experienced Canadian movers will be the perfect chance for them to assess not only the things you plan to move to the new home, but also to evaluate if there might be any difficulties during the day of the move – items that require special handling, long flights of stairs, lack of an elevator, tight corridors, and so on. Once the survey is over, you will be issued accurate price estimates in writing. The quotes should indicate the total cost of the move in addition to the hourly rates of the individual services. Stay away from any Canadian moving company that insists that in-home inspection isn’t really necessary. The moment you’ve got several moving costs estimates on the table in front of you (the quotes you have received after the on-site surveys), then things will become much easier for you to choose the best Canadian moving company. First of all, take a look at the estimated prices – they should be more or less comparable. If an estimate quotes a price that is way above what you can afford, then that particular offer is definitely off. On the other hand, if a quote states a price that appears to be too good to be true, then you should be even more cautious as that particular offer could turn out to be a lowball estimate. Lowball estimates are usually fraudulent attempts by dishonest movers to bait more customers. Secondly, do pay attention to the additional services present in the moving company quotes, and their respective rates. Each extra service offered by the cross country movers in Canada will cost you extra, of course – whether it’s packing, unpacking, disassembly of furniture pieces, temporary storage, crating, and so on. 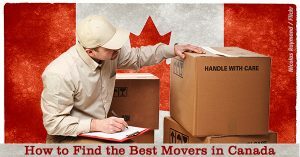 One great way to find the top movers in Canada is to check their online reputation. And to do just that, all you need to do is read what customers had to say about the movers’ level of professionalism, quality of services, and overall performance. That’s right – browsing through reviews on moving companies in Canada will help you select the winning bid knowing that the company you pick will not let you down in any way. Use customer reviews as guidelines to get a general feeling of what the prevailing company-customer relationships were like. In other words, you’re not advised to base your decision on moving reviews alone as specific aspects can be largely subjective. In the best case scenario, reading Canadian movers reviews will tip the scale one way or the other and will make your choice a bit easier when you already have a few similar price estimates in your hands. Be proactive and access our dedicated page where you can check customer reviews on the best Canadian moving companies. It’s easy, just click here. Still unsure which Canadian moving company to trust with your prized possessions? No worries, you’ll soon have the required information to figure it out. Now, let’s take a look at 3 more checks that should be able to help you make the best decision in the end. Take a quick look at the Consumer Beware List prepared and maintained by the Ontario Ministry of Consumer Services. That list is a public record that shows if a moving company in Canada has had any consumer complaints lodged against it. If a Canadian moving company fails to respond to the Ministry after the latter has sent 2 notifications about a consumer complaint, the business is then added to that list. Also, if a professional moving company in Canada has been charged or convicted in relation to the Consumer Protection Act, then that mover is also added to the list. As a bonus, that Consumer Beware List also explains what kind of action the Ministry took in each case, which can be very useful for you in your final decision. Useful tip: Choose “MOVING COMPANIES” from the drop-down menu “Select the type of service or product”. Do your homework right and you’ll be able to hire one of the very best Canadian moving companies. The Canadian Association of Movers (CAM) should definitely be your next stop. CAM represents moving and storage companies in Canada, and the association guarantees that their current Canadian-mover members are actually the top moving companies in the country. The moving directory on their website will help you search for a local or long distance Canadian mover by providing your location and type of move. The good news for you as a future customer of relocation services is that all CAM members are required to have valid insurance and a physical address of business. Also, all employees of CAM members have adequate coverage from the Workplace Safety and Insurance Board (WSIB) in the unfortunate event of a mover getting injured while working on your house move. Before doing a business with a professional moving company, make sure it is a proud member of the Canadian Association of Movers – a smart precautionary step that can save you plenty of potential headaches. The Better Business Bureau (BBB) is another helpful website where you can check if a Canadian moving company is reputable enough to be your partner in the upcoming household move. For over 100 years, BBB has helped consumers identify trustworthy businesses by setting up standards for ethical business behavior – high standard that business entities must meet before they can become BBB accredited. Reputation is a big factor that neither moving companies nor consumers can or should ignore. Your final check is to make sure the Canadian movers you’re considering are all BBB accredited and are in good standing with the Bureau. It’s that extra effort that will give you the ultimate peace of mind when you’re looking for good movers in Ontario, Montreal, Vancouver, Calgary, Edmonton, Ottawa, Winnipeg, Quebec City, or any other big city or small town in Canada. One of the best pieces of advice you can get when enlisting the services of a moving company in Canada is to get it all in writing. Make sure you get your written estimates after in-home surveys as explained in detail above. When you opt for a binding moving estimate, the final cost can’t be more than 10% than the agreed-upon estimate unless the conditions of the original agreement seem to have changed on moving day. For example, if it turns out that you have more items to be packed and transported than you showed to the moving company representatives at the in-home inspection. Only then can the original price estimate become void and the company will have to prepare a new one for you. Also, explore your options when it comes to insuring your valuable possessions against damage. Canadian moving companies are required by law to have insurance for the cargo they are carrying but that insurance comes in the form of basic liability coverage that almost never enough (we’re talking only about 60 cents per pound of cargo. Speak with your movers whether you should purchase additional moving insurance known as Replacement Value Protection – the one that covers the full cost of replacing your household items if the latter get damaged or lost. You’ve managed to hire one of the top movers in Canada? Great job! You can even enjoy your house move now. Regrettably, there are some bad movers out there that would love to turn any household move into a nightmarish experience for you, and a profitable one for them. One of the most common scams by dishonest movers is to hold a customer belongings ransom. What do they want? They want more money, of course! Those bad moving companies demand additional payment to release the household items – that’s what a ransom is all about in the first place. Remember that if you follow the above steps to finding the best Canadian movers, then you’re 100% safe that you won’t accidentally fall prey to the worst moving companies in Canada. It’s simple, really. Yes, you’ll spend a bit of extra time researching the professional movers that get into contact with you after you’ve requested price estimates, but the security that spent time brings will be really worth it in the end. Ready to pick the best moving company in Canada? Are you happy with the way your moving company handled your move? If you could turn back the hands of time, would you have hired the same Canadian mover?